Welcome to EastWind Armory. We are here to sell the fruits of the labors of EastWind, a living medieval society South Carolina. Greetings, I am Keliance EastWind of EastWind Castle in South Carolina. My wife and I have created a Living Medieval Society in a Medieval Village. I have studied under many disciplines: Woodworking, Metal, Leather, Cold & Hot Forging of Armor and Blades. But my greatest triumphs are in the fields of old and new world Bow-making. The creation of EastWind Armory is to build a bridge between Our Creations and your Hands. 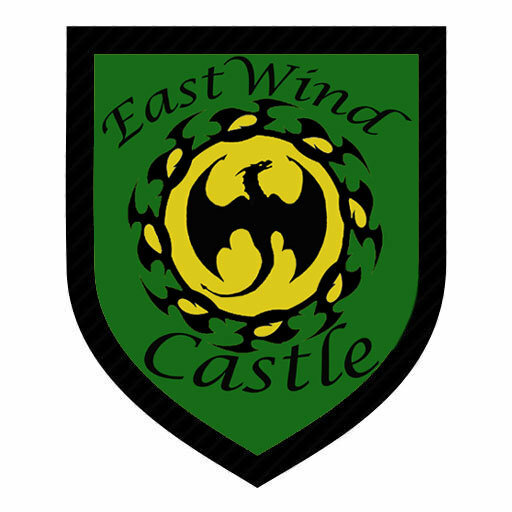 EastWind Castle is a Medieval event site and Society. We relive and create the crafts of a world long gone. Call if you wish to visit.